Apple does not exactly release exact numbers for its Apple Watch lineup, though the company was able to generate a record-breaking $88.3 billion revenue for Q1 2018, the wearable family is what we are going to be reporting about. 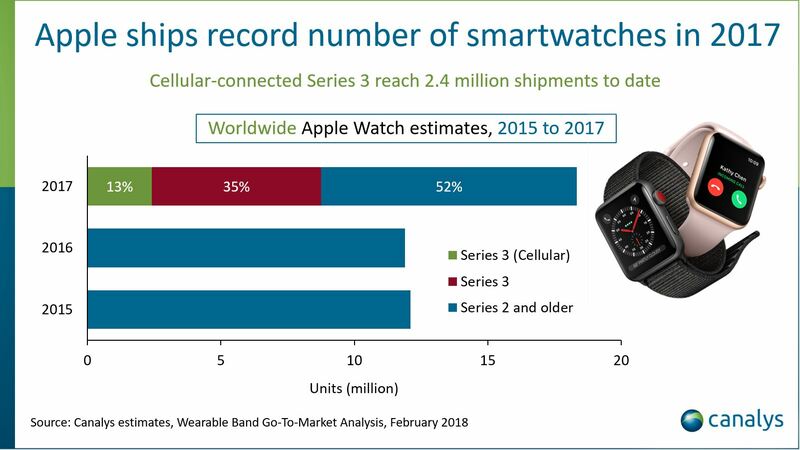 Not surprisingly, and similar to the iPad market, Apple has commanded a massive hold in the wearable market but these shipment numbers are going to truly surprise you. Most smartphone manufacturers do not sell as many devices as many as Apple has sold its smartwatch units, and that is truly impressive. 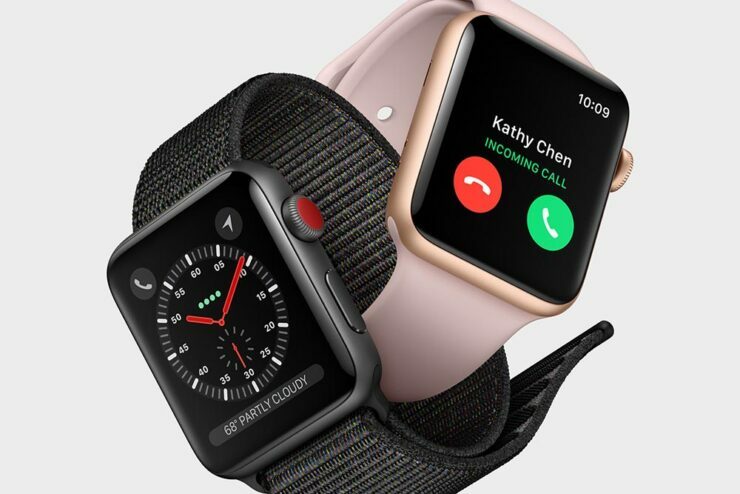 A Research Analyst at Canalys Vincent Thielke stated that the Apple Watch has performed extremely well in developed countries. Apple’s latest wearable, the Apple Watch Series 3 features an LTE chip that is able to function through eSIM technology. A direct advantage of using the Apple Watch Series 3 is that you will not be required to pair your iPhone to receive a multitude of notifications. Is it any wonder that the LTE variant of the Apple Watch Series 3 ended up being the most popular variant out of all the models. The convenience that is accompanied by the wearable must be a completely different experience. The tech giant has not been rumored to be working on a successor and to be honest, it is not necessary at this point. The Apple Watch Series 3 is more than capable of handling notifications and remain powered throughout the entire day. In addition, it can also transform into your personal fitness tracker if the need is required.